This Workflow Diagramming Software for Linux with various free workflow templates and symbols enables you to draw workflow diagrams as you like. 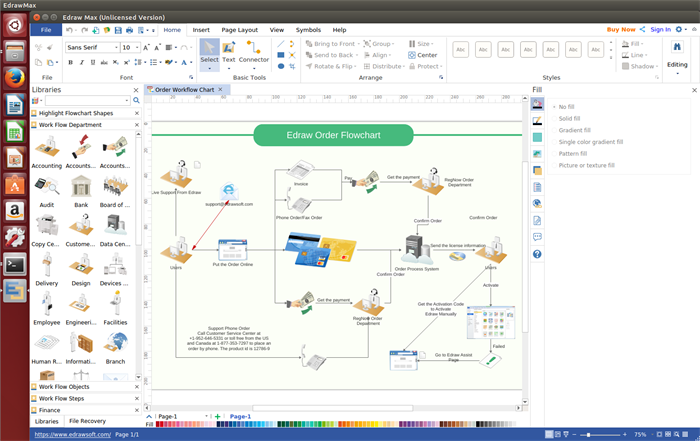 Edraw Workflow Software for Linux provides a variety workflow diagrams shapes and templates for users. You can design workflow diagrams you want quickly. A large collection of built-in symbols and graphics for customizing your own workflow diagrams. Beautiful themes options with advanced effects. Users can change the active theme in seconds. A set of smart tools are available for automatic formatting. You are able to easily arrange, rotate, group and align objects. Users are allowed to export the designed workflow diagrams to other format such as JPEG, PDF, SVG, HTML, Word, PPT, PowerPoint and so on. Abundant vector workflow symbols such as department symbols, workflow steps and workflow objects, etc are available in this Linux workflow diagram tool. Open A Workflow Diagram Template to Get Started. 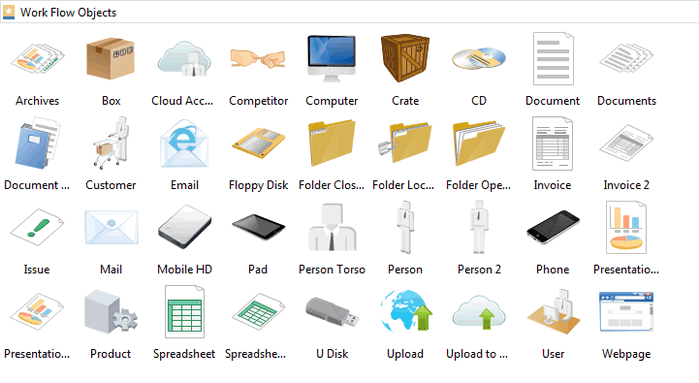 Navigate to"File" menu > "New". Double click "Flowchart", and then choose a template. Add Workflow Shapes. Go to the library on the left panel, drag the shapes you need onto the canvas. Add Catogery onto the Drawing Page. Select a catogery you want, drag it to the drawing page and then position it. Edit Text Content. Double click a shape and then type your words. Connect Shapes. Hover your mouse over each shape and click one of the arrows that appears along its border to link it to an adjacent shape with a connector. 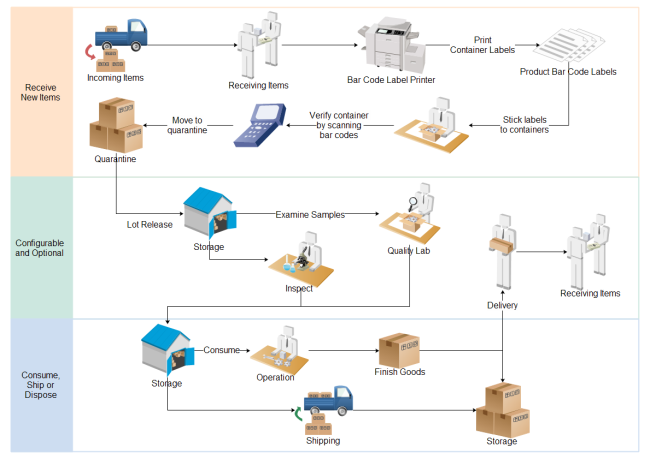 Save or Export Completed Workflow Diagram. Hit "Save" on "File" tab to save the file as the default eddx format, or you can click "Save as" on "File" tab to export to other formats such as jpg, png, pdf, html, etc. 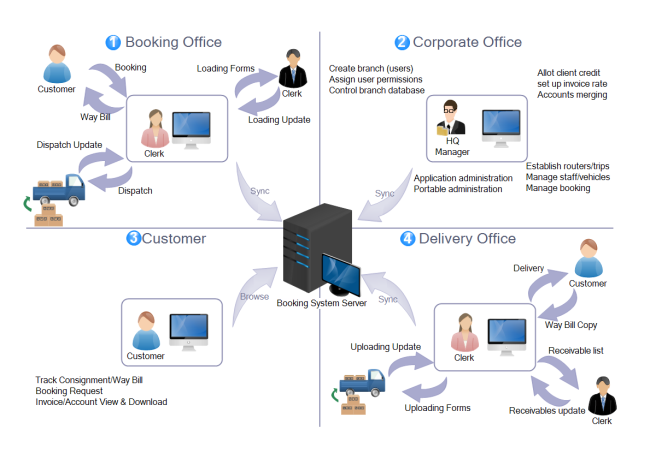 Learn more detailed guide on how to create workflow diagram. Below are some workflow examples made by our workflow diagram program for Linux. You can free download, edit, even shar them on your social media.